Dodgeball began in the UK in 2005 with the first competitive match taking place between Leeds Metropolitan and Stafford University’s. 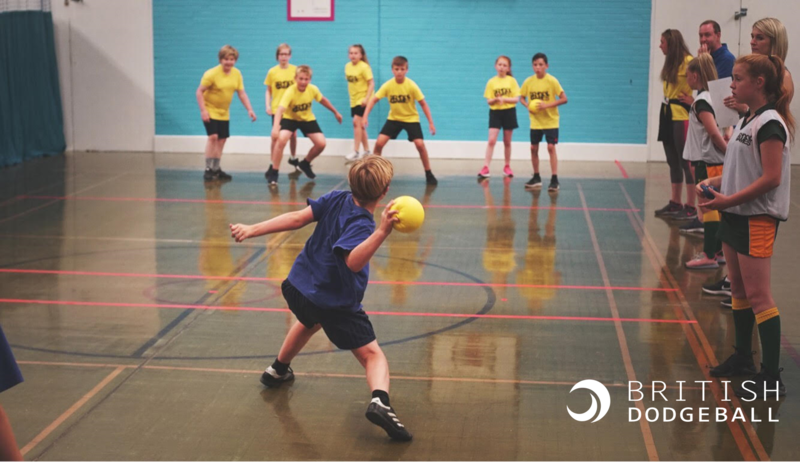 Since then the sport has increased in popularity year on year with leagues, opens and championships being ran throughout a competitive season by British Dodgeball. The International game sees teams from across the World compete at World Cups and Continental Championships. British Dodgeball runs the Great Britain Dodgeball Team as well as supporting the Home Nations of England, Northern Ireland, Scotland and Wales with events each season. British Dodgeball – please click here for more information. In order for a competition to be considered part of a School Games provision, it must follow a School Games format. All School Games registered users have access to our sport formats and can access the formats for this sport by clicking the button below. Alternatively, you can download the full Dodgeball format pack by clicking here.